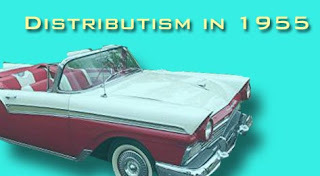 …it is obvious that not only is wealth concentrated in our times, but an immense power and economic dictatorship is consolidated in the hands of a few, who often are not owners but only trustees and managing directors of invested funds while they administer them according to their arbitrary will and pleasure. This is Pius XI’s assayal of the present economic status of society. Pius XII makes a like analysis, “…(the Church) insists…on the need for a more just distribution of property and deplores the unnatural social situation in which an enormous mass of impoverished people live beside a small group of very rich and privileged.” At first sight these might appear as casual remarks and unimportant generalities. One might even be tempted to doubt these statements because it is a fact of common knowledge that in the U.S. there are millions of stockholders in the large corporations. And there are major authorities who furnish documentary proof to substantiate a parson’s doubts. The National Association of Manufacturers defends the doctrine that free enterprise prevails in the U.S. economy; they build their position not so much on fact as on economic principle. For they say: “There is in the free enterprise system no natural economic tendency towards a general substitution of monopoly power and monopolistic restraint of trade for competitive prices and other features of a free competition.” Their’s is a philosophy of individualism, and it is something they are proud of. Fr. 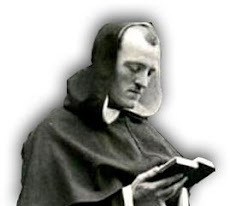 Edward Keller, C.S.C. of Notre Dame University, in his two books, A Study of the Physical Assets Sometimes Called Wealth in the United States, 1922-1933, and Christianity and American Capitalism, attempts to establish that the Papal statements do not apply or pertain to the U.S. In the first book he has stated that in 1930 the total physical assets of the U.S. were $410,000,000,000. He divides these assets into two classes, 1) those for comfort – homes, automobiles, radios, etc., and 2) those for production. Now the comfort goods account for $222,000,000,000 of the total assets and the production goods account for $188,000,000,000 of the total assets. Since these classified under comfort goods – keep in mind these are privately owned – exceed fifty per cent of the total assets, Fr. Keller concludes that there is very equitable distribution of wealth in the U.S. Granting his calculations, it must be noted that what he classified as comfort goods, are for the most part absolute necessities. As such they are consumer goods and so do not contribute any revenue and hence cannot be the real foundation of any kind of liberty or security. He is in error in that he underestimates the value and importance of productive private property. Also in his analysis he overlooks the evils of big business and on the other hand is able to see only the abuses of bigness in government and unions. Pius XI and Pius XII are not alone in their analyses of society. 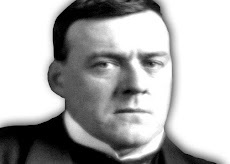 Hilaire Belloc estimated that nineteen-twentieths of the people in England owned no productive property. 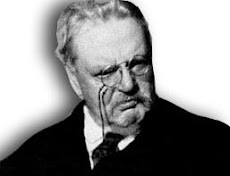 G.K. Chesterton made similar estimates, always decrying such a state of ownership. Wilhelm Ropke, the contemporary Swiss economist, in his diagnosis of our times makes much of the ill-distribution of property. The classical contribution of a factual and statistical nature was made by Adolf A. Berle, Jr. and Gardiner C. Means in their book, The Modern Corporation and Private Property. Of almost equal importance were the findings of the Temporary National Economic Committee – published in forty-four monographs – which began its work in 1938 and issued its final report in 1941. A wealth of reliable information is to be found in these two sources. Berle and Means set out to determine what was the condition of property ownership? How ownership was distributed? How was it held by owners? Their approach was to examine the assets and income of the 200 largest non-banking corporations in comparison with the assets and income of all U.S. industry. Nearly all of these corporations which they investigated had assets of over $100,000,000 and fifteen had assets over a billion dollars. But to what extent did these 200 companies dominate our economy? “There were over 300,000 financial corporations in the country in 1929. Yet 200 of these, or less than seven-hundredths of one per cent, control nearly half the corporate wealth.” Also it must be remembered that these large companies have a pale of influence extending beyond the limits of their ownership. Examples of this are the automobile dealers and service station operators – they own their own buildings and other necessary equipment, but to a great extent their policy is dictated by that of the product they sell. Concentration then, is the hallmark of our economy. We must conclude, then, that parallel with the growth in the size of the industrial unit, has come to a dispersion in its ownership such that an important part of the wealth of individuals consists of interests in great enterprises of which no one individual owns a major part. No one even attempts to show that the contrary is true. Of course this does not demonstrate that most of the people in the U.S. are owners. In a recent survey of family stock ownership it was determined that ninety-two per cent of all families with incomes less than $3,000 a year only four per cent were stockholders. The import of stock dispersion is not so much that property has been distributed to all people, but that single corporations are not owned by one or two or even a small group of individuals. However, the most revolutionary aspect of the modern corporation is the almost separation of ownership and control. The stockholder has become a passive and no longer an active partner in the business venture. This is true for a number of reasons. In many, many corporations it is physically impossible for the stockholder to exercise control because he owns such a small part of the whole corporation. For example, the stockholder lists of the Pennsylvania Railroad, the American Telephone and Telegraph Co., and the U.S. Steel Corporation, shows that the principal holder owns less than one per cent of the stock in any of these companies. Also in these three corporations no individual or small group owns a significant block of stock. In such corporations the board of directors and management exercises all of the control. Where the ownership is spread so thinly almost by default the stockholder relinquishes his right of control. Yet where there is a slight concentration there are many devices and manipulations which will give control to a small group. A few of these are: interlocking directors, holding companies, issuance of non-voting stock, issuance of weighted voting stock to a particular group, organizing a voting trust and the use of proxies. Some examples. A few men may exercise tyranny over a giant corporation, even though they own but a minute percentage of its capital stock. The Van Sweringen Brothers controlled eight class-1 railroads having assets of $2,000,00,000 although their own investment was less than $2,000,000. Again in 1928, Dillon, Read and Co. with less than $2,250,000 ruled the entire Dodge Bros., Inc., a concern having assets of $130,000,000 representing investments of thousands of people. Also the Cities Service Co. and the Standard Gas and Electric. These two were billion dollar corporations, but for a time each was dictated to by a group owning only about a million dollars’ worth of stock. Approximately 2,000 men were directors of the 200 largest corporations in 1930. Since an important number of these are inactive, the ultimate control of nearly half of industry was actually in the hands of a few hundred men.